The sudden movement of head forward and backward with full force is known as whiplash. This puts huge amount of stress on the cervical spine. Most common cause of whiplash include car accidents and other causes are roller coaster ride, skiing, falling and other extreme sports. Questions you should ask yourself! How did you injure your neck? How did you numb the pain? Did your pain travel to back or arms? Is your neck pain severe? It takes almost 3 months to fully recover from a whiplash injury, but there are a few exceptions. People might suffer from chronic pain for months and even years. If you are feeling pain for months there are a few things that contribute to this. For instance severe pain at the time of injury, If you are old and a female. 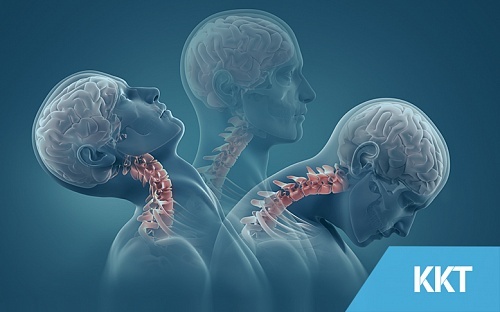 If you are suffering from whiplash injuries due to an accident, you should visit your doctor if you are suffering from severe neck pain, Instability of neck, pain, tingling, numbness, Imbalance and poor coordination. So that timely measures can be taken. This pain can be excruciating or very mild. It might be in one place or spread throughout. Ligament and muscle strain causes whiplash. The tightness of muscles cause immobility of neck, making it difficult to move freely. Problem created with your joint decreases your range of motion. When your soft tissues are stretched out and torn out, this results in an unstable neck. When whiplash occurs, the strain of soft tissues results in shoulder pain. When whiplash occurs, the strain of soft tissues results in upper back pain. When a neck muscle is tightened it can result in headache. When necks spinal nerve roots become compressed this can lead to weakness, numbness and tingling sensation.